"Golf Course Architecture is a mix of Art & Science. 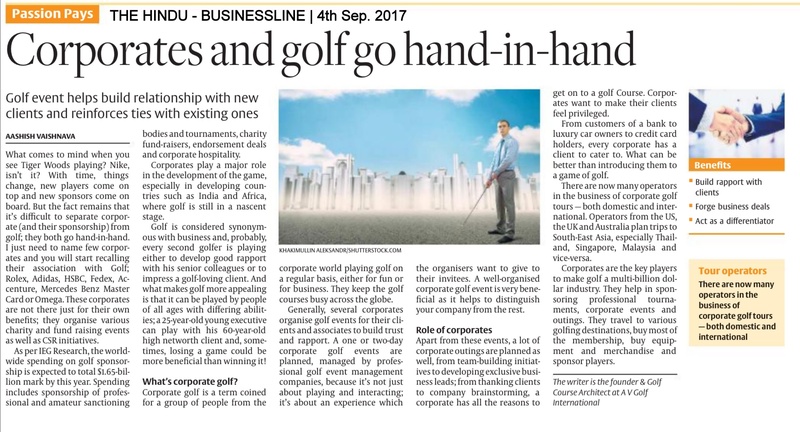 They are two sides of the same coin - Aashish Vaishnava (Golf Course Architect)"
AV GOLF INTERNATIONAL is one of India's most reputed & sought after Golf Course Design & Architecture company thoroughly focused on the design & development of Quality Golf Courses & Driving Ranges in the country. The firm is involved from the initial stages of the project; starting with Site Evaluation, Feasibility, Golf design to Pre-Opening Consulting. 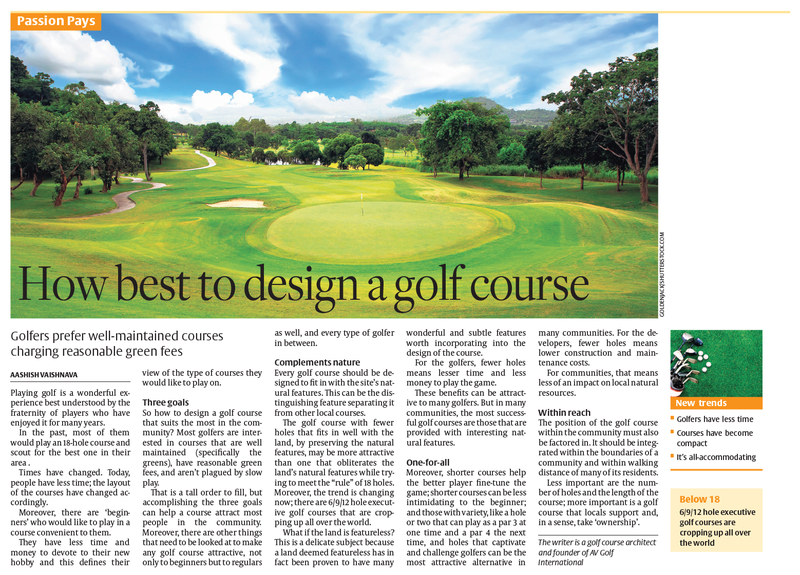 Led by Mr. Aashish Vaishnava, Golf Designer & CEO, who has a rich experience of over 15 years in designing Golf Courses and Golf Centric Townships in India. With projects across the country, AV GOLF INTERNATIONAL has gained diverse experience in the development of Golf Courses which are fun to play yet challenging to score. We proudly say that we are one of the best and top Golf Designers & Architects in India, with over 25 projects of different stature under our umbrella. We as professional Golf Designers & Architects provide services which are stepping stones for any New Golf Course Development and also for remodelling of existing Golf Courses. How much land does it take to build a golf course? How long does it take to build a golf course? 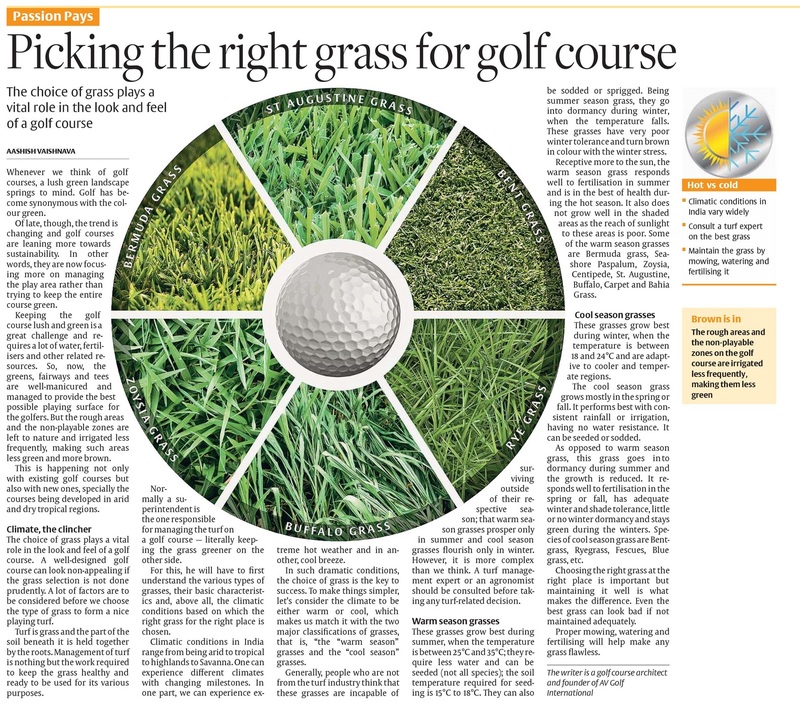 If you are considering a golf course, what will help you in making the smartest decision? 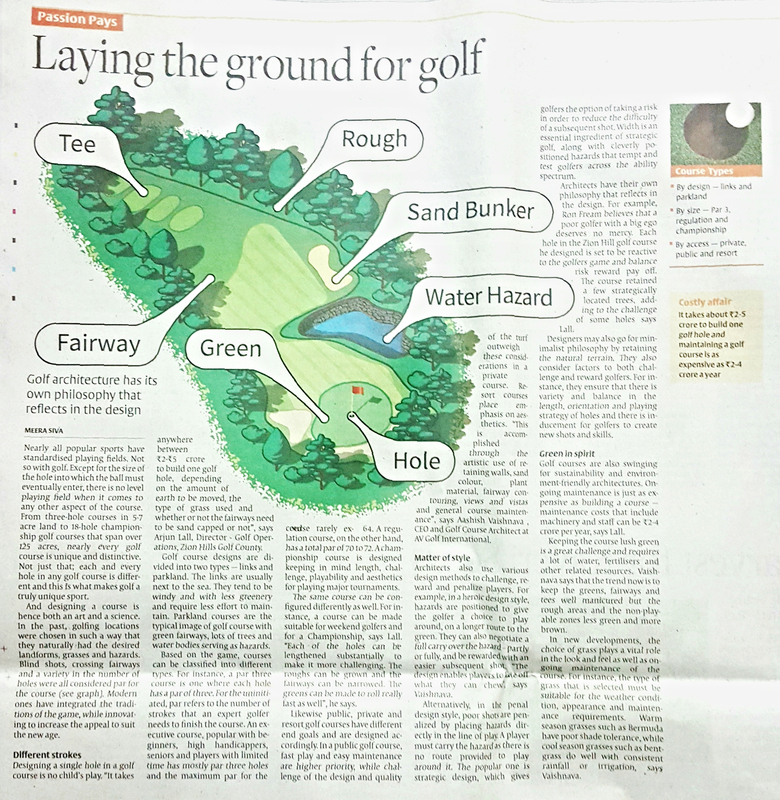 What is a pitch & putt course?